Constance Goddard Du Bois (1889-1934) was an American novelist and an ethnographer, writing extensively between 1899 and 1908 about the native peoples and cultures of southern California. Her published fiction included several short stories plus six novels. Her most enduring contribution was as a self-taught ethnographer, doing pioneering studies in a period when professional academic anthropology was just becoming established in the United States. Starting in the late 1890s, she made summer trips out west to see her sister who lived in the San Diego area. She began making treks into the San Diego backcountry, to meet the surviving communities of Diegueno and Luiseno Indians. Soon she was writing about their traditional and contemporary lifeways, promoting traditional crafts (particularly basketry), and helping with financial and political assistance. 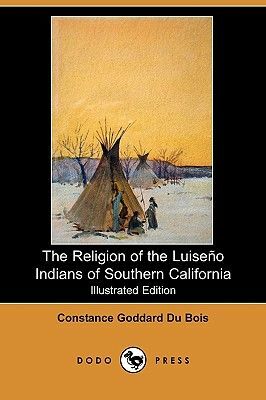 Her longest ethnographic work was a detailed monograph on The Religion of the Luiseno Indians of Southern California (1908). In addition, she published 23 shorter articles about the region's native peoples, with particular emphases on their mythology, ceremonies, and crafts.